A complete classical education enables him to play with great improvisational freedom; creating new musical landscapes to which he lends a timbre, eloquence and harmony all of his own. The result is a subtle, often mystical atmosphere. 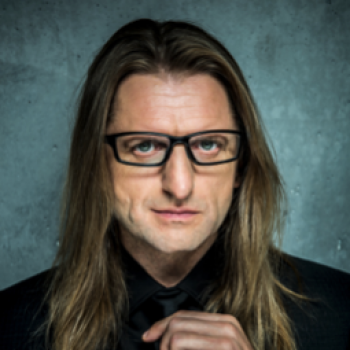 Born on March 23rd 1971 in Gdansk, Leszek pursued and successfully completed a formal music education until graduating from the Gdansk Academy of Music, at which point he applied his classical skills in a new way by playing in jazz bands. As a member of the 90's band Milosc, Leszek helped instigate a "yass" revolution in Polish music. At this point, he is the recipient of every musical award it is possible to win in his home country. On many occasions Leszek has recorded in collaboration with Zbigniew Preisner (Requiem for my friend, 10 easy pieces for piano). He cooperates also with Jan A. P. Kaczmarek (recordings for the Oscar - winning original score for "Finding Neverland" and the "Kaczmarek by Możdżer" album). As well as all this, Leszek has performed alongside the most gifted and renowned Polish Jazz musicians, including Tomasz Stańko, Zbigniew Namysłowski, Anna Maria Jopek and Michał Urbaniak. He has also performed and recorded with many internationally acclaimed artists including: Arthur Blythe, Buster Williams, Billy Harper, Joe Lovano, Pat Metheny, David Gilmour, Marcus Miller, Archie Shepp, Eddie Daniels, Charles Fox, Nana Vasconcelos, Lars Danielsson, Zohar Fresco, John Scofield, Steve Swallow, Tan Dun. he is also an artistic director of Jazz nad Odrą Festival and Enter Music Festival. "Leszek Możdżer a distinguished pianist and composer has managed to trigger a mental and stylistic revolution in Polish jazz that has never been achieved by any other jazzman before." Dionizy Piątkowski - author of Polish Jazz Encyclopedia.